Sure, roasting marshmallows and making s’mores over a campfire is fun. But if you don’t have a campfire, try this simple toaster oven variation. Place mini marshmallows and chocolate chips on a graham cracker. Set it on a toaster tray. Broil or toast until melted. Watch closely – they can burn fast! Top with a second graham cracker. Enjoy! 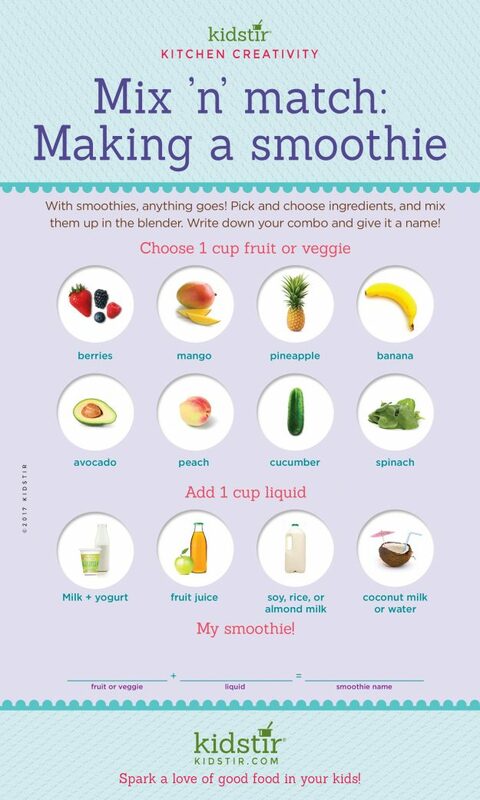 Here’s a quote from our Kids “Summer Sips Kit” introduction. 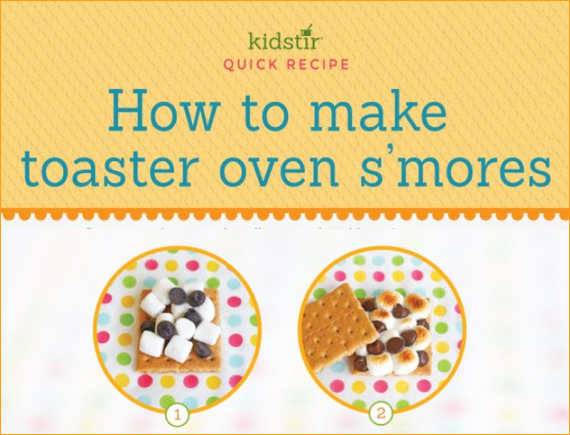 We’d love to offer Kids our “Make Toaster Smores” infographic for you to share on your blog. Just select and copy the code snippet below and paste into your next blog post. 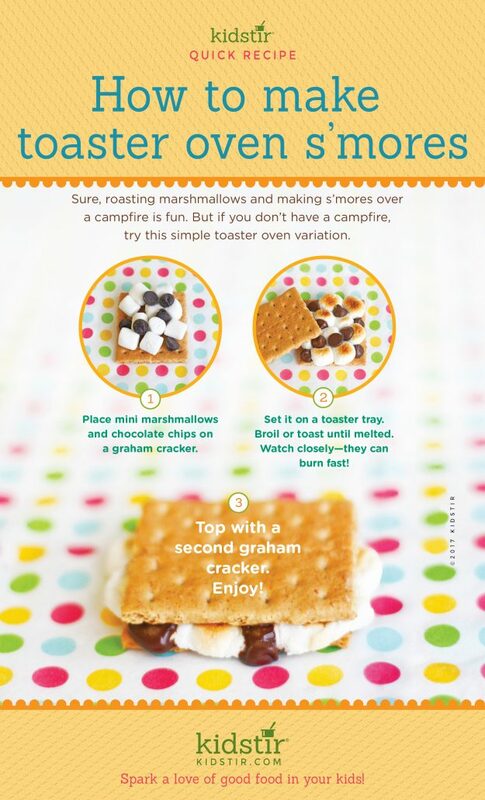 We’d love for everyone to share this page on social media or email using the buttons below so you can share our Kids Make Toaster S’mores Infographic!